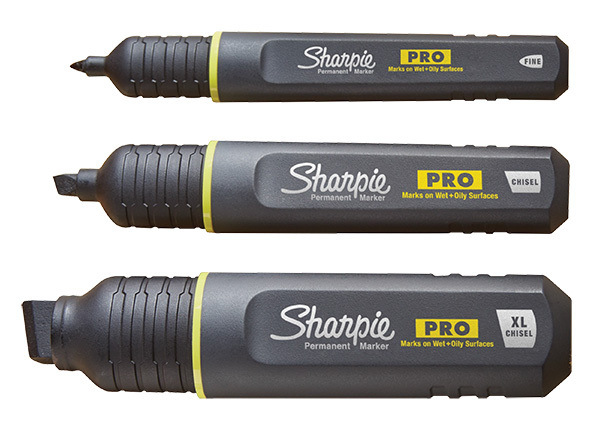 Introducing the newest addition to the Sharpie range - the Sharpie PRO! With a re-designed ink that cuts through water, oil & dust, they're built jobsite tough and write on metal, wood, plastic, concrete, glass & more. They also feature a rugged grip, anti-roll barrel, lanyard loop and heavy duty clip - perfect for the professional tradesperson!